Fandong Zhang, Ling Luo, Xinwei Sun, Zhen Zhou, Xiuli Li, Yizhou Wang, Yizhou Yu, IEEE Computer Society Conference on Computer Vision and Pattern Recognition (CVPR), Long Beach, June 16-20, 2019. Yiming Zuo, Weichao Qiu, Lingxi Xie, Fangwei Zhong, Yizhou Wang, Alan Yuille, IEEE Computer Society Conference on Computer Vision and Pattern Recognition (CVPR), Long Beach, June 16-20, 2019. Tianyang Zhao, Yifei Xu, Mathew Monfort, Wongun Choi, Chris Baker, Yibiao Zhao, Yizhou Wang, Yingnian Wu, IEEE Computer Society Conference on Computer Vision and Pattern Recognition (CVPR), Long Beach, June 16-20, 2019. Daochang Liu, Tingting Jiang, Yizhou Wang, IEEE Computer Society Conference on Computer Vision and Pattern Recognition (CVPR), Long Beach, June 16-20, 2019. Sibei Yang, Guanbin Li, Yizhou Yu, IEEE Conference on Computer Vision and Pattern Recognition (CVPR), 2019. Weifeng Ge, Xiangru Lin, Yizhou Yu, IEEE Conference on Computer Vision and Pattern Recognition (CVPR), 2019. Yu Zeng, Huchuan Lu, Lihe Zhang, Yunzhi Zhuge, Mingyang Qian, Yizhou Yu, IEEE Conference on Computer Vision and Pattern Recognition (CVPR), 2019. Wenjie Yang,Houjing Huang,Zhang Zhang,Xiaotang Chen,Kaiqi Huang,Shu Zhang. 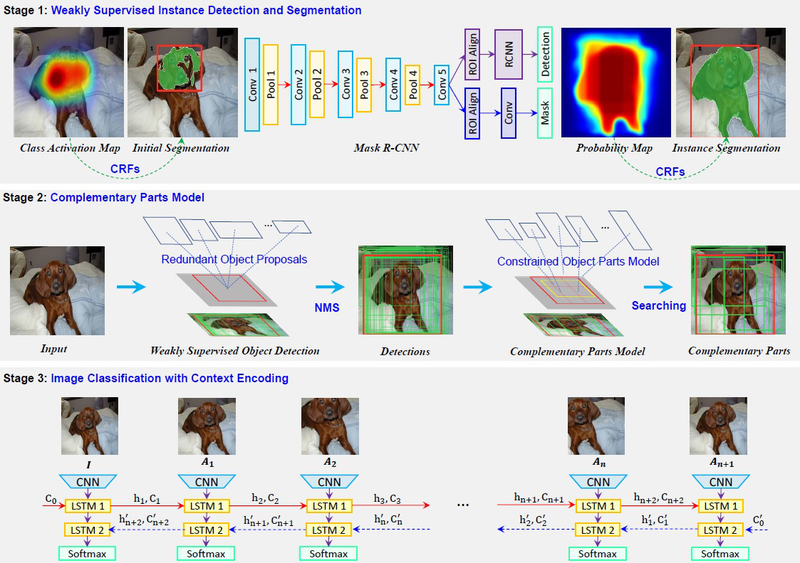 IEEE Conference on Computer Vision and Pattern Recognition (CVPR), 2019.